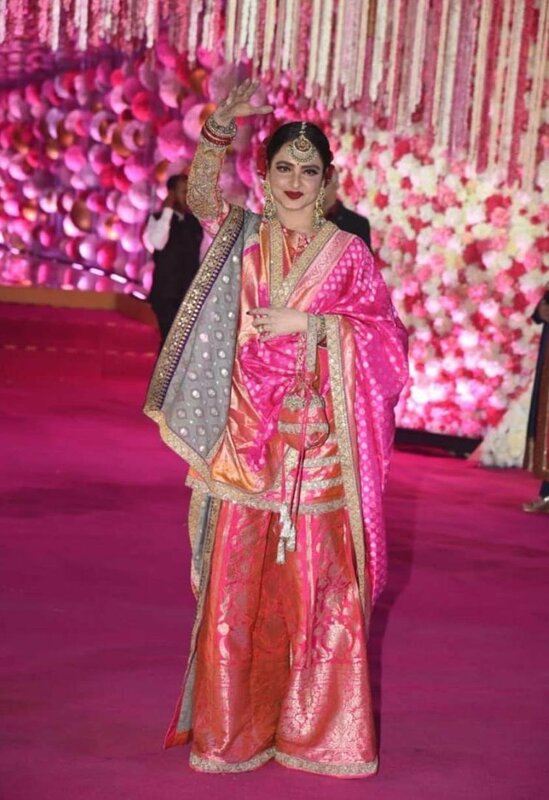 Rekha was a real showstopper at the wedding reception of Morani’s son – Azhar- pictures can make you freeze!!! The bollywood beauty of 70’s still seems like kicking or skipping the age in numbers. Any guesses whom we are taking about, yes your guesses are10 on 10, we are here talking about the legendary beauty of 70’s who is holding the same charisma today itself. The beautiful and gorgeous Rekha made everyone stunned with ther presence at the wedding reception of Azhar and Tanya last night. The forever dazzling beauty has brought down the moon on land with her glam and glitzy presence. She grabbed the wide eyeballs of everyone at the reception. Rekha was dressed up in a magenta and orange heavy ensemble with maang tikka, and finishing her looks with the heavy danglers was treating a feast to us. She drooled everyone with her mesmerizing presence and flashy outfit. Very often she is being discussed for her unique style statement which none of us can copy. 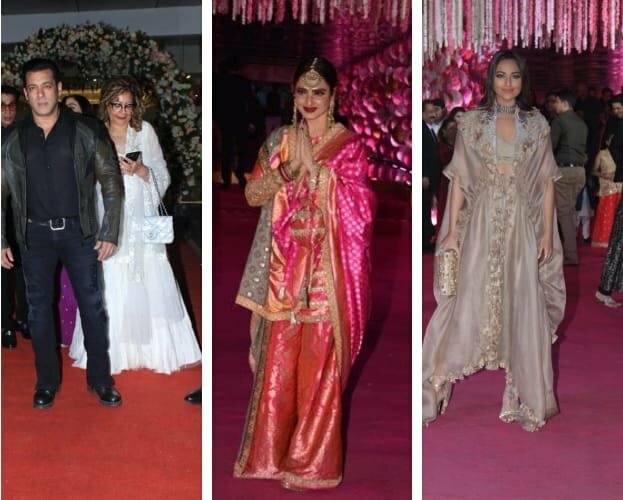 Apart from Rekha there were other attendees like Salman Khan, Yulia Vantur, Sonakshi Sinha, Urvashi Rautoul, and Nora fatehi etc who graced the occasion of Morani’s son’s wedding reception with their fine presence. Rekha keeps her fit due to her disciplined life style and her zeal for yoga and exercise.